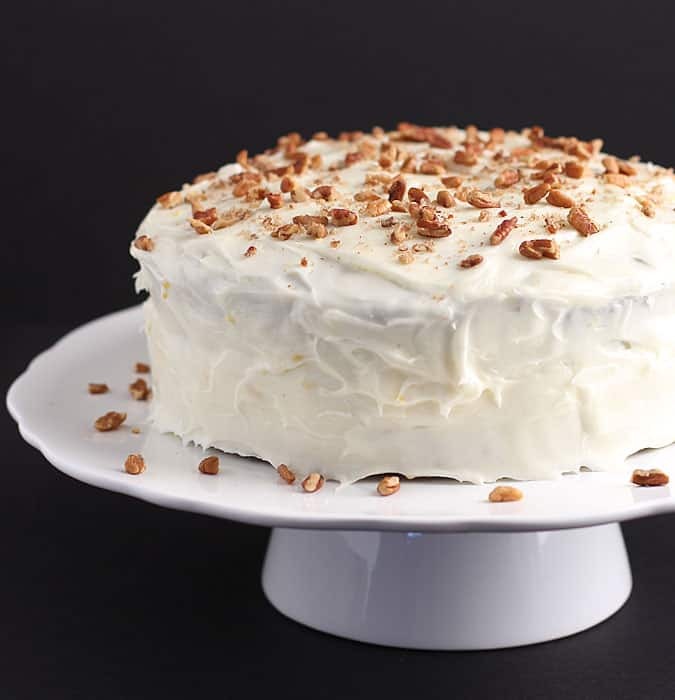 Perfectly moist and chock full of carrots, pecans and raisins… this Carrot Cake with Lemon Cream Cheese Frosting is going to be the star of your dessert table this Christmas! I’ve never considered myself much of a baker and my cakes don’t always come out very pretty. But I’m here to tell ‘ya… you really can’t go wrong with this cake. 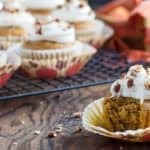 The lemon cream cheese frosting gives it a hint of citrus that compliments the carrot cake in an awesome way that I just can’t seem to put into words. But trust me, it’s some kind of good. So you’re gonna have to make it to find out what I’m talkin’ about! 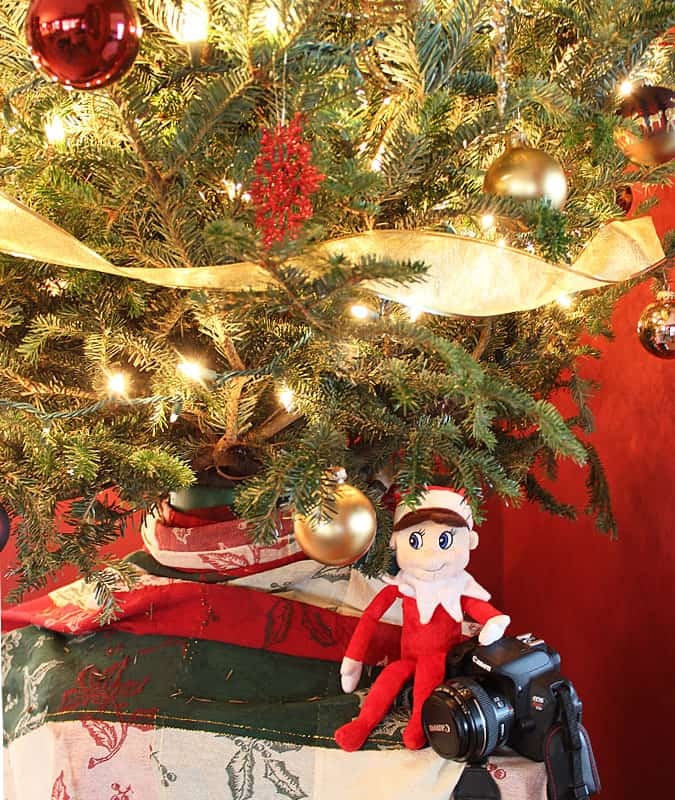 I was so excited to get a new Canon Rebel T5i for Christmas and decided I was going to try to start “photographing the photographing”, if that makes any sense. 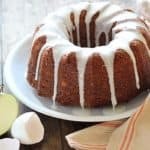 I started out with this carrot cake. I’ve had my Canon Rebel T2i for almost 3 years now and it has been an awesome camera. I have some getting used to with the T5i but it’s getting easier each time I use it. I have learned so much about food photography in the past 3 years and try to keep learning something new every day… there is so much to learn! A lot of my foodie and photography friends seem to enjoy when I post pictures of “behind the scenes”… it’s crazy how I can rig something up at the last minute to try to get the best photograph within my means. Back to this carrot cake: it really is the best carrot cake I’ve ever eaten, if I do say so myself… and I’m not one to boast about my own cooking! 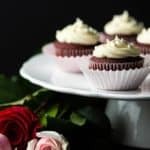 Are you into food photography? 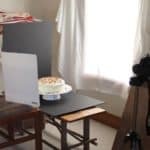 Visit Food Photography Tips: Photographing Carrot Cake to see my setup for photographing this cake! 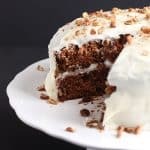 Carrot Cake with Cream Cheese Frosting ~ Perfectly moist and chock full of carrots, pecans and raisins! Grease and line 2 8-inch round cake pans with parchment paper. In a medium bowl, whisk together flour, baking soda, baking powder, salt, cinnamon and nutmeg. Set aside. In a large bowl, whisk together eggs, oil, sugars and vanilla extract for approximately 1 minute. 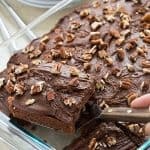 Add dry ingredients to the wet mixture and beat with mixer at low speed for approximately 2 minutes, or until incorporated. 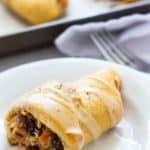 Using a large spoon, stir in grated carrots, nuts and raisins. Pour into prepared cake pans and bake for 40 minutes, or until a toothpick inserted in the center is removed clean. Cool completely on a wire rack and frost with lemon cream cheese frosting. Beat cream cheese, butter, and vanilla until well blended. Slowly add powdered sugar, continuing to mix. Add lemon zest and juice, mixing until incorporated. Oooohhh, how exciting! You got a new camera! I love your photos and I’m so glad you’ve decided to start sharing your knowledge. Off to check it out! 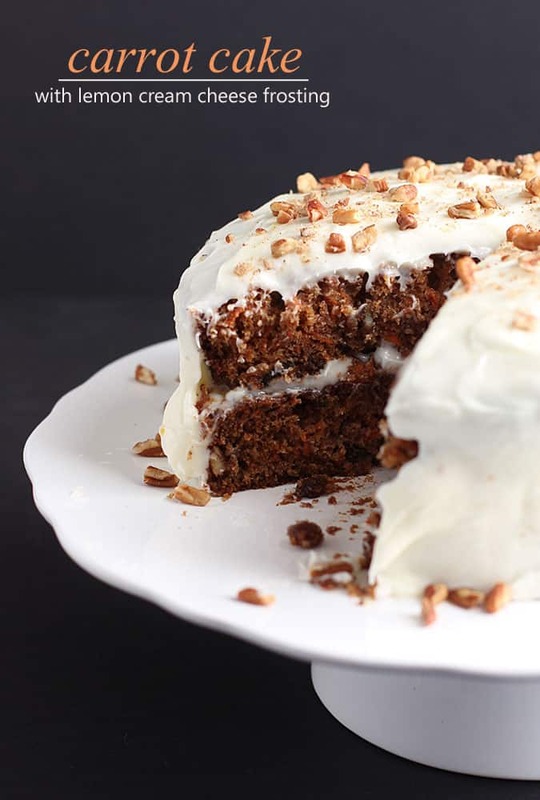 You can never go wrong with a classic carrot cake! totally wish I had a thick slice to devour right now – this cake looks amazing! this looks sooo good! I’m craving carrot cake now! !